I caught this special occurence on the 6th of Sep 2008. 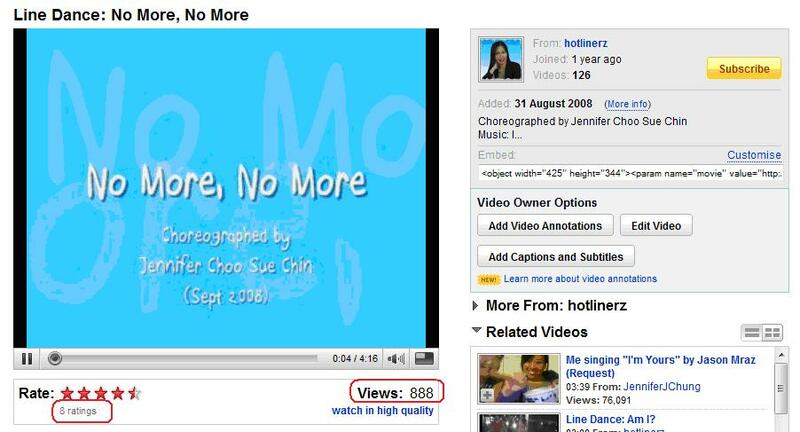 Can’t help but to share this auspicious number 8 on youtube video of No More, No More. Haha, I would say it’s not easy to catch this exact number! There were 888 views and 8 ratings! There were also 8 comments!